Metal And Moss is a Bend Oregon Wedding Florist designing seasonal, ethereal and lush wedding flowers. Our list of the best wedding venues in Bend, flowers for your Bend wedding and our favorite Bend wedding planners to help you put it all together. 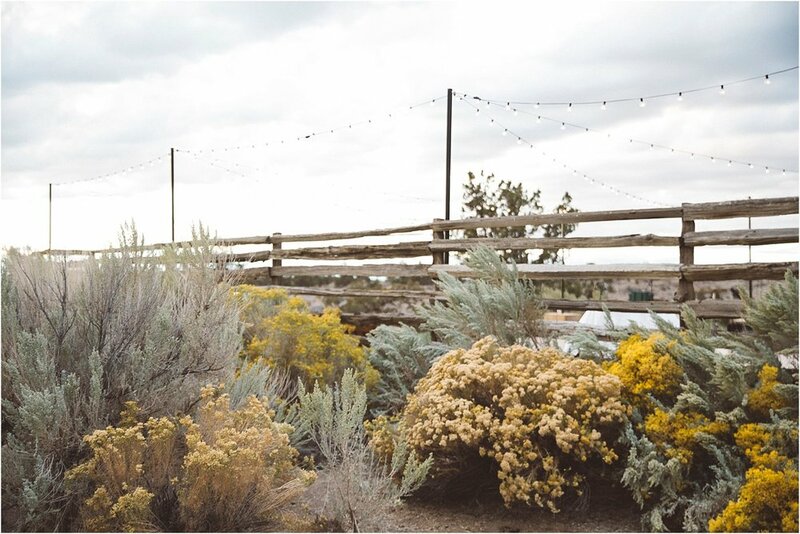 The landscape of Bend and the surrounding Oregon high desert make for a seriously stunning wedding backdrop. 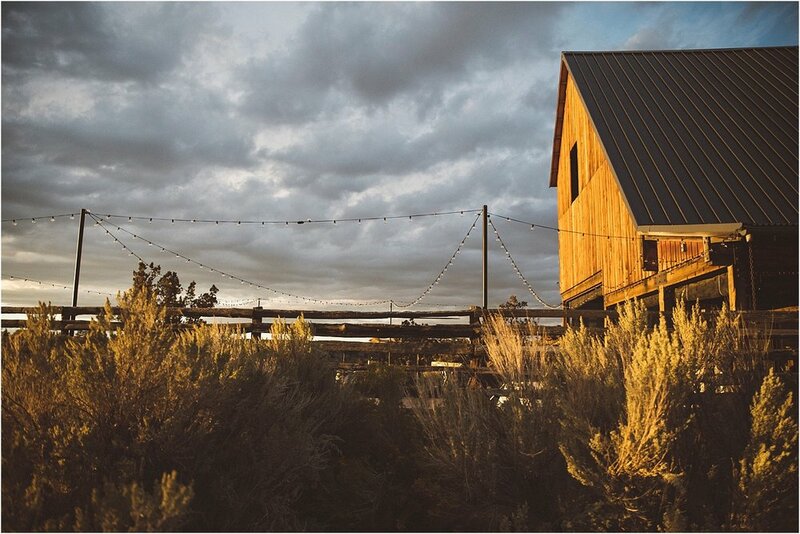 The landscape of Bend and the surrounding Oregon high desert make for a seriously stunning wedding backdrop. Here’s our list of the best wedding venues in Bend, flowers for your Bend wedding and our favorite Bend wedding planners to help you put it all together. Bend Wedding Venues // Timeless, breathtaking views. Brasada Ranch // Located just outside of Bend, Brasada Ranch has breathtaking 360 degree views of the high desert mountains it's nestled between. With multiple ceremony sites to choose from and private cabins for your wedding party and guests to spend the weekend, it makes for an easy, beautiful and relaxing experience. The Range Lawn and Rustic Barn can both accommodate larger wedding parties, while Trestle Pond is a beautiful spot for more intimate ceremonies. If you’re an adventurous couple looking for an intimate wedding location, Outback Butte is the spot. It’s only accessible by horseback and has stunning views that can’t be found anywhere else! 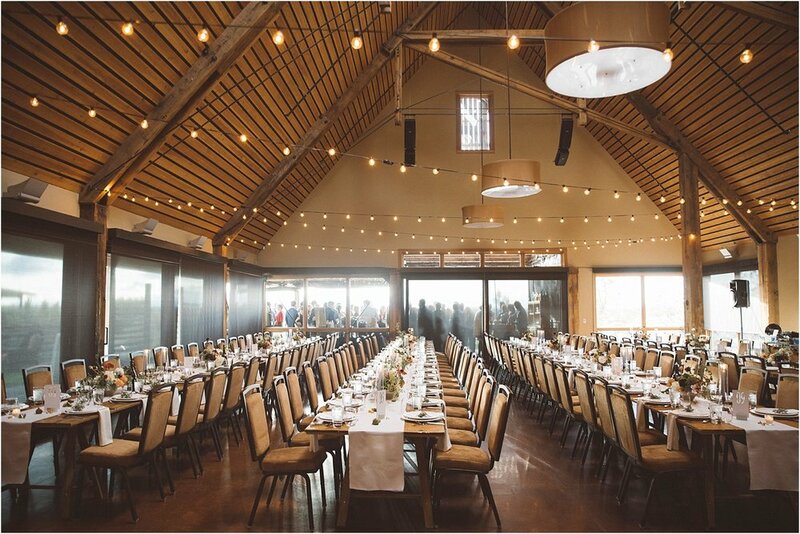 Sunriver // Located under the wide expanse of desert sky outside Bend, Sunriver Resort has both indoor and outdoor ceremony and reception spaces. Mt Bachelor Lawn and Historic Great Hall have space to accomodate up to 350 guests, while Homestead Lawn and Heritage Hall can accommodate up to 80 guest. For adventurous couples wanting an intimate ceremony, Caldera Springs Lake and Lakehouse is that place, with a small private beach and fire pits. Hollinshead Barn // Located within Hollinshead Park, a part of Bend Parks and Recreation District, this old homestead is surrounded by beautiful orchard views. Ideal for a quite, intimate ceremony, Hollinshead Barn can seat up to 55 guests comfortably. 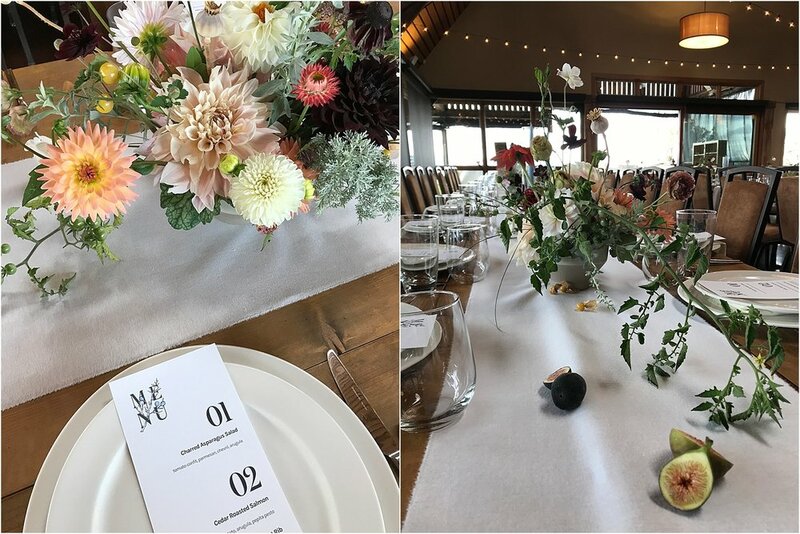 A bit more rustic than the resort ranches listed above, Hollinshead Barn does has both private indoor and outdoor space for wedding celebrations. Flowers for Bend // Textures, tones and varieties. The high desert is visceral, raw, windswept. It evokes a different sense of time with it’s rocky juniper and rabbitbrush covered expanses. The colors of Bend and the high desert are subtle in tone but bold in texture. Subtle neutral hues - tan, grey, blue, mustard, ochre, sage and mauve. Some people may find these colors dull and lacking richness, but we absolutely love them and find their subtle tones inspiring, highlighting their variations! Texture Heaven // The high desert is saturated with delicious textures - wind warn, dried and formed long ago - seed pods, tumbleweeds, dried grasses, weathered branches, jagged rocks. Texture can be used to give variation and depth to a neutral color palette or enhance an already bold one. 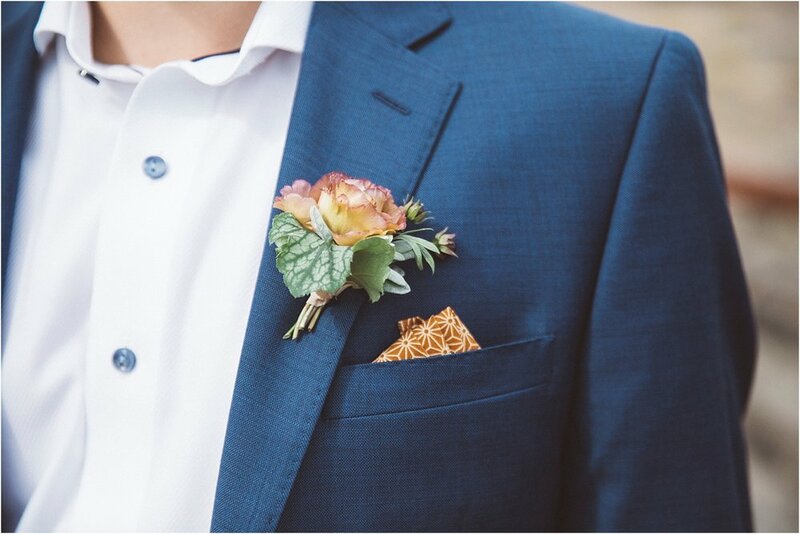 Incorporating Color into your Florals // It only takes a touch of color to really pop against the neutral colors of the high desert. We suggest bringing warm colors into the desert palette to soften the harsh rocky outcrops and naturally cooler tones. Oranges, yellows, purples and reds compliment the desert surroundings with warmth and radiance. Flowers for the High Desert // Our favorite flowers for Bend and the high desert are tender, understated and soft to compliment and enhance their surroundings. We want our flowers to play nice with the environment they’re in, not fight it. We take into account the setting and season our flowers will be in. Flowers that are right for an island elopement don’t belong in the desert and vice versa. We love these flowers for Bend weddings : ranunculus - with their many layers of petals and endless color variations, lisianthus - a variety of colors to match the high desert earth: sand, soil and clay, chocolate cosmos - with a delicate chocolate smell that their name suggests and tiny glistening golden stamens, Japanese anemone - cloud like heads with golden yellow centers atop long slender stems, garden roses - fragrant beauties with heavy heads and twisting stems, coneflower - bold strong centers surrounded by delicate and vibrant petals, lunaria - airy and shimmering seed pods, heuchera - distinctly veined leaves in colors of muted greens, browns, reds and golds and finally grasses - blue fescue, explosion grass, and delicate tufts of pampas. Bend Wedding Planners // Modern, sophisticated and refreshing. We had the absolute pleasure of designing flowers for Caitlin and Joe’s high desert wedding at Brasada Ranch. We used this couple’s love for architecture, high desert textures and autumn tones as floral inspiration to create a stunning and magical Brasada Ranch wedding. 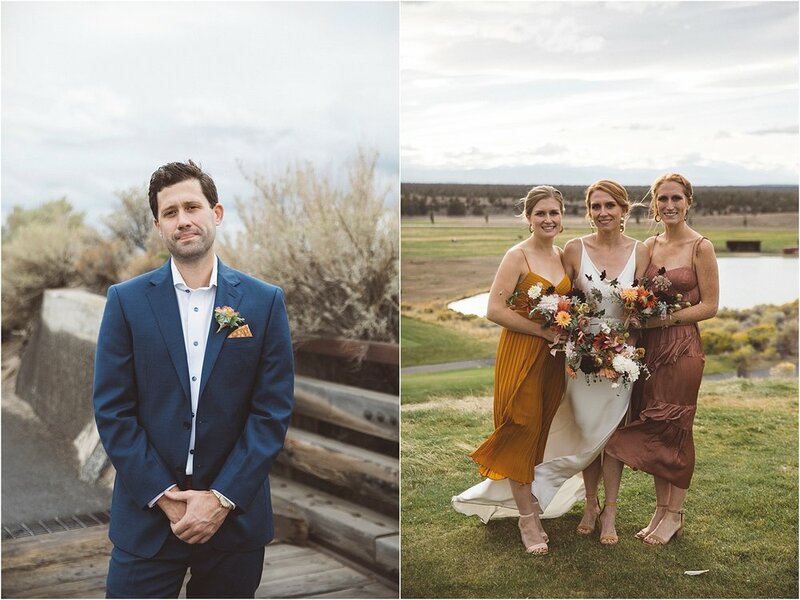 Nestled between rabbitbrush bushes and the jagged rock landscape, these vibrant yet soft florals both enhanced and were at home in their surroundings. Caitlin and Joe were so thoughtful and intentional in the decisions they made for their wedding. They came to us inspired by the textures and colors of the high desert as a source of material inspiration and physical backdrop, choosing Brasada Ranch as their wedding venue. 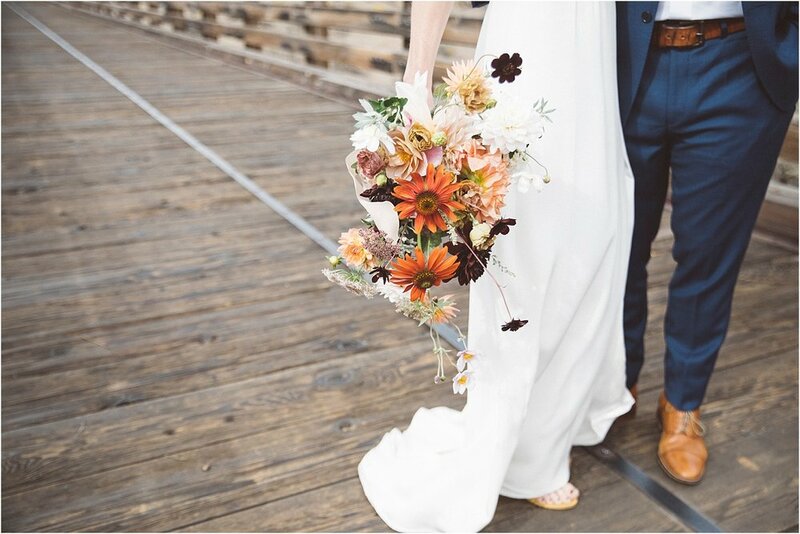 Using their inspiration, we created textural florals with pops of color that beautifully captured the spirit of the high desert and the transition of the seasons from late summer to early autumn. A season still full of rich color and depth, combined with dried botanicals and textural elements so often found in Bend and the surrounding Oregon high desert - dahlias, coneflower, japanese anemones, rudbeckia, blue fescue grass, heuchera, chocolate cosmos, dried pods, lisianthus and yellow tomatoes on the vine. Photos by Laura Dart who captured the movement of our flowers in the high desert wind so beautifully. We had such a blast bringing their vision to life!